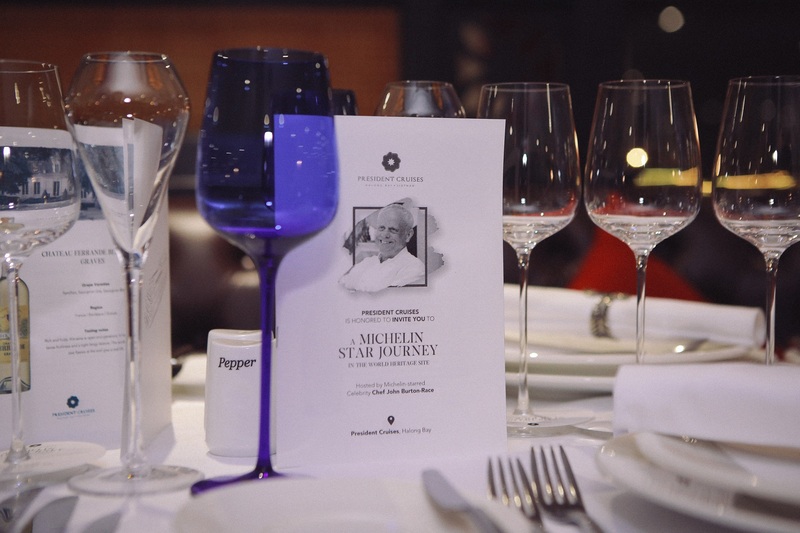 Having worked closely with Michelin Star celebrity chef John Burton-Race for an extended period in order to produce this menu, it’s safe to say that we’re proud of the results. 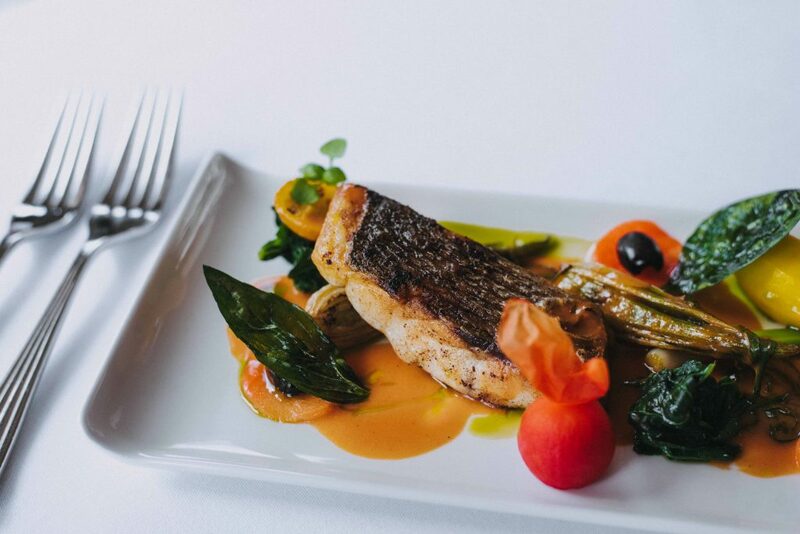 We’ve put together a short guide to some of the finest ingredients available on the menu to get you in the mood for our fine dining experience. Aboard the President, we like to provide only the finest luxury available, that’s why we spared no expense in importing some of the world’s most desirable caviar. Oscietra is famed as one of the most highly sought-after varieties of caviar, obtained from the oscietra sturgeon, and second in price to only the legendary Beluga caviar. It varies in color, and can range from a deep brown to gold, with gold oscietra producing the richest flavor. One of the many local ingredients that we’re ever so proud of here in the bay; the prawns that we catch in the area spend very little time out of the water before making their way to your plate. Besides just how fresh this ingredient is, one of the best parts of our prawns are their size: big in stature, meaty but still succulent, and tender – they’re a must-try for anyone visiting Halong Bay. Back in December we proudly announced the arrival of our beefsteak into the bay. John Burton-Race arrived shortly after the steak, bringing his incredible standards and high-end cuisine with him. After much demand, we decided to maintain this incredibly high standard of western cuisine for future guests and kept John’s take on the fillet of beef on the menu. When it comes to western cuisine, wasabi alone has grown in popularity over the years, due to the growth of a global taste for sushi. The green paste has garnered a certain reputation, however, for being mustard disguised as wasabi, in certain parts of western cuisine. There will be none of that aboard the President, of course. We use only the finest wasabi root to produce our wasabi, and then mix it with mayonnaise to create a fine blend of flavor and texture. While Vietnam has a strong cultural heritage, you can’t deny that there has been influence over the years. Nowhere is this more prominent than in our cuisine. Though all of our food is distinctly Vietnamese, influences like French baguettes and Chinese roast duck are undeniable. We drafted Michelin Star chef John Burton-Race, the first celebrity chef in the bay, to curate the first Michelin Star standard menu. 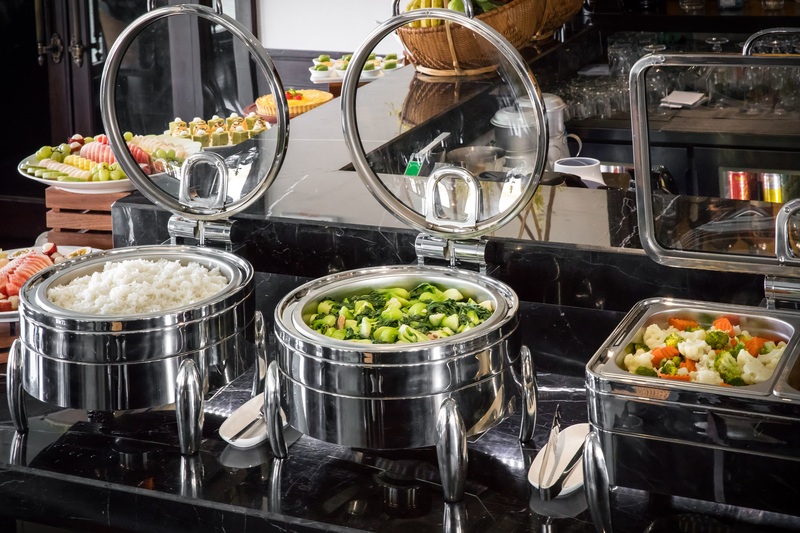 This sumptuous menu will roll out throughout 2019, depending on which ingredients are fresh, in order to provide the most indulgent cuisine available in Halong Bay. 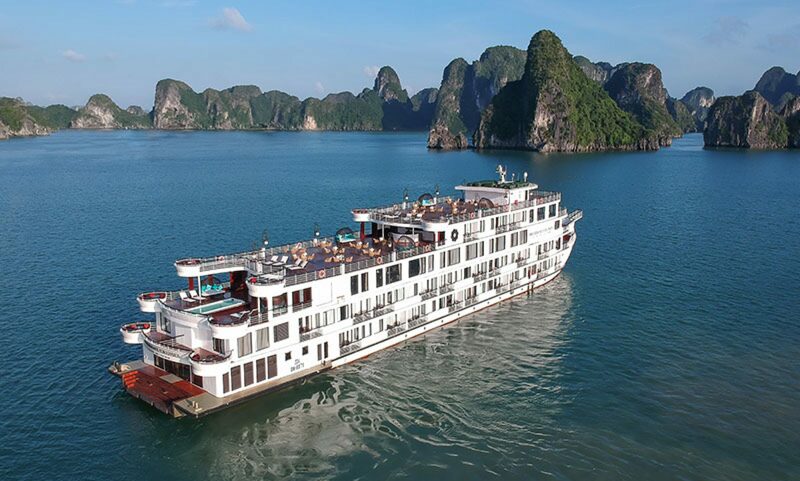 President Cruises is one of the only cruise ships with an a la carte dinner menu, meaning that you can craft the culinary essence of your Halong Bay experience. To start things off, we’ll be serving a range of bite-sized delicacies aboard the President, determined by what’s available and fresh in the bay. Expect the finest locally caught ingredients for our amuse-bouche course, such as king prawn and spiced pumpkin soup or a delicious concoction of dressed crab, taramaslalata, squid ink cracker, and watermelon. All of our starters have been handcrafted to deliver a delicate taste of the finest authentic Vietnamese cuisine, along with poignant western influences. Depending on the season, expect dishes such as carpaccio of venison, brandade of cod, or rock lobster tail with garlic and chilli. Along with sweeping vistas of stunning limestone karsts, Halong Bay is famous for its fresh fish, a defining point of the bay’s cultural heritage. Aboard President Cruises, we want to do justice to Halong’s fishing reputation. That’s why you’ll find our fish courses to be the freshest available. We have a range of fish options throughout the year. Highlights include grilled red snapper with sweet red pepper puree and seared kingfish with sweet ginger, garlic, chives and shallot dressing. Other delectable gifts from the sea include filet of seabream and soft-shell crab. 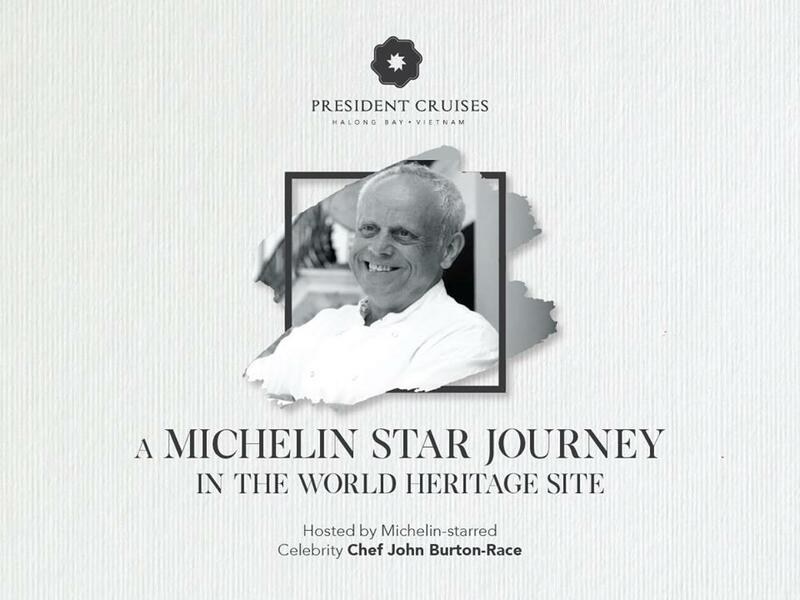 A point of pride aboard the President is our Michelin standard beefsteak, which created a splash in the bay as the finest beefsteak available, with a recipe handcrafted by celebrity chef John Burton Race. Our own chefs maintain this fantastic standard of cooking throughout the meat section of our 2019 menu. Meat lovers can also tuck into squab pigeon with huckleberry gastric, roast duck breast with corn syrup, roast rack of lamb with white onion cream, or loin of Dutch veal. To cleanse your palate following our various meat courses, we’ve put together the finest in gentle pre-desserts, to tease you before the real thing. Our selection includes carrot ice cream, peanut butter parfait, cherry and Madagascan vanilla compote and lemon posset with elderflower jelly. The final course on this luscious menu is our indulgent desserts. Fruit and nut lovers can finish off the meal with carpaccio of spiced pineapple, coconut sabayon, or pistachio cake. For those with richer tastes, there’s chocolate and almond parfait with coffee foam and nougat. Whatever you choose to eat when you cruise with us, you can be sure that dinner is always something to look forward to aboard President Cruises. We decided that for the most indulgent on-board dining experience, we would split our menu between lavish western cuisine and innovative Vietnamese dishes. 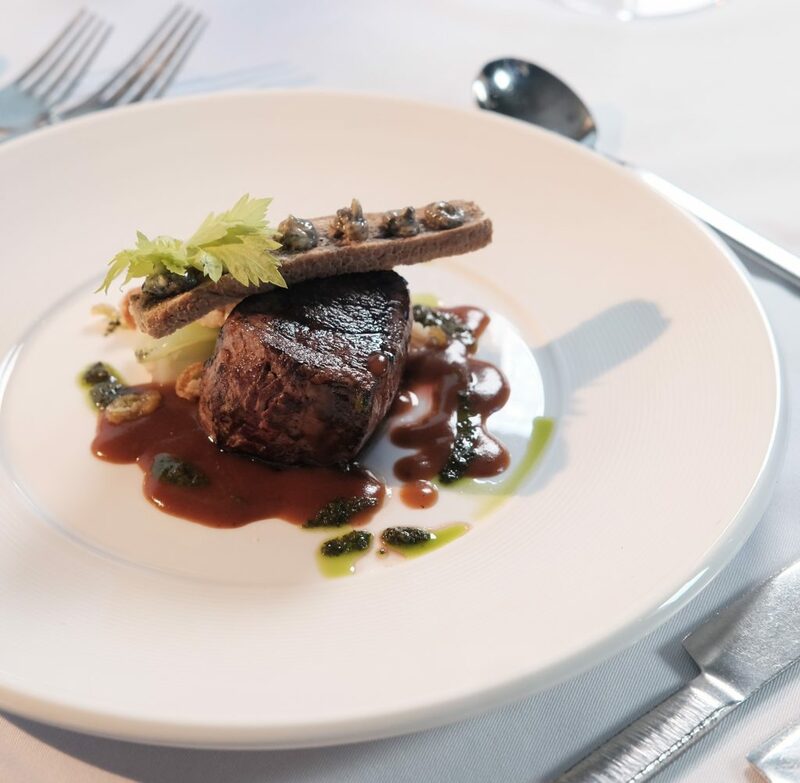 For our delectable menus we drafted Michelin Star Chef John Burton-Race to handcraft the finest in Michelin standard delicacies, including the most succulent beefsteak in the bay. For our innovative Vietnamese dishes, John worked with our world-class chefs to shape recipes that have been passed down generations into fantastic modern creations. This has made for a delicious and unique result: authentic Vietnamese cuisine with a modern twist. To highlight just how special this menu is, we want to give you a peek at one of our finest dishes: roast duck breast with corn syrup, confit tart, coriander, and ginger. For this dish, we’ve blended together an East Asian staple – roast duck – with traditional Vietnamese herbs and spices. You won’t go far in Vietnam without coming across coriander and ginger. Coriander has been used within our cuisine since the beginning. You’ll find it used generously in street food like pho, as well as packed into banh mis throughout the country. Whilst ginger is a popular addition to many meals, it is also considered a cure-all for any ailment, creating a hearty and healthy addition to any meal. As the centre of our Vietnamese menu, we thought duck would be the most fitting choice for this sumptuous dining experience. Duck has a prominent history throughout Vietnam and East Asia. Dating back all the way to the Ming Dynasty, around 600 years ago, Peking Duck slowly made its way out of Beijing to the rest of East Asia, eventually landing in Saigon before spreading to the rest of the country. While the dish has royal roots as a delicacy enjoyed amongst emperors and other members of the ruling classes in Beijing, these days, roast duck is a popular takeout item and is prominent on any menu during a special occasion, like weddings, holidays, family gatherings, and death anniversaries. We feel that, due to its reputation as a food for celebration, roast duck would be the perfect fit as the figurehead of our grand Vietnamese menu. There is no better cause for a celebration than being on a President Cruise. John Burton-Race has revealed his bold new menu, hand-crafted especially for President Cruises’ Michelin event. 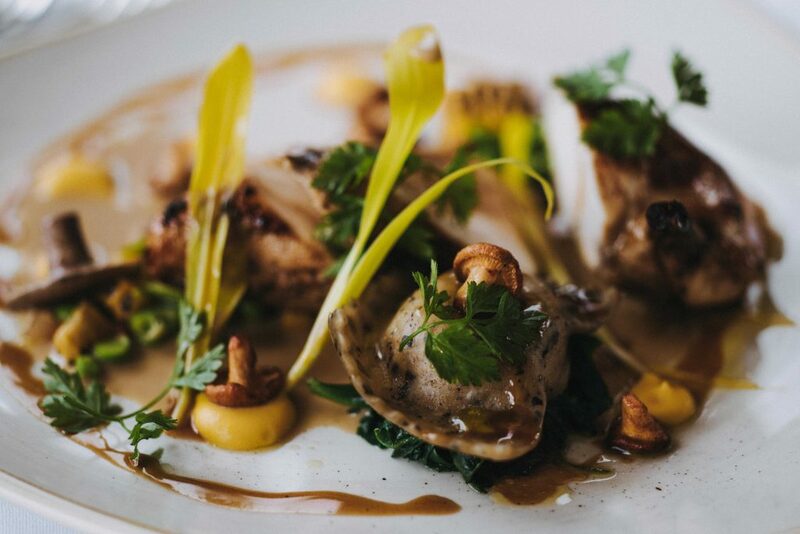 John’s menu will prove to be the perfect match to world-class sommelier Stephanie Voy’s wine list. Together, Sephanie, Maison Castel’s Wine Ambassador, and multi-Michelin star chef John, have fashioned a menu to the highest standard, sure to make for one unmissable night. John will be stepping aboard the floating hotel in January to premier this new Michelin standard menu. John, whose decorated career began underneath his mentor Raymond Blanc, has been awarded multiple Michelin stars and was the star of Channel 4’s hit television series French Leave. 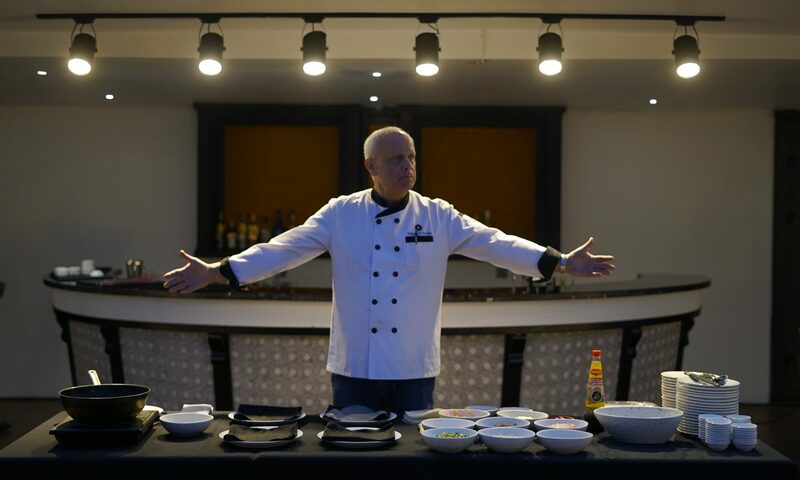 This world standard chef will be training President Cruises’ highly skilled team to create his menu, joining the ranks of high-end restaurants. The delectable menu launches with an amuse-bouche, which has been crafted from salmon, marinated in juniper berries, black pepper and citrus zest, alongside a delicate balance of salmon jelly, soy, cucumber, wasabi mayonnaise, fennel flower, and oscietra caviar. Stephanie has selected a Maison Castel to join this unbeatable introduction to the evening. Following the amuse-bouche is an exquisite starter befitting Halong Bay’s own grandeur. Tuna and scallop carpaccio take the starring role in this magnificent dish, with yuzu sorbet, salted peanuts, and lime dressing orchestrating a unique and unforgettable taste. A Chateau Cavalier from Cuvee Marafrance, Cote de Provence will be bought aboard the ship as a perfect pairing. A succulent fillet of turbot, resting gently in a chive butter sauce awaits you following your starter. The turbot is dressed with asparagus and wild mushrooms, and served with turned new potatoes. Atop the fish will be a tasting of caviar. Stephanie has paired this dish with Chateau Ferrande Blanc, a Graves wine from 2015. This medium bodied white has a vibrant creaminess in the mid palate and finish. 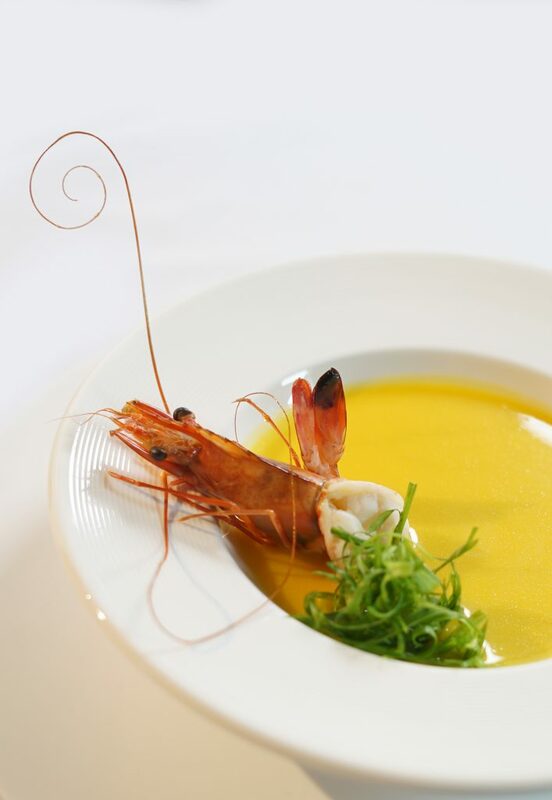 John’s main course for this Michelin event sets a new standard for cuisine in Halong Bay. A fillet of the finest beef resides with a red wine jus, set to sweetheart cabbage, crispy shallots, capers and crispy sourdough croutons, along with a small pouring of olive butter. A Chateau Montlabert is the finest wine to drink with the main course. The St Emillion Grand Cru wine is a deep, vibrant red, with a dense palate and fruity notes. The pre-dessert is an intricate yet bold palate cleanser consisting of a coconut crumb, heated until caramelized, and topped with a papaya sorbet and lime syrup. This gentle dish will leave you fulfilled yet dying to see what comes next. The final dish to arrive on this lavish evening will be a decadent base of chocolate nut ganache, along with a zesty poached pear, with a dusting of icing sugar and, set to the side, the soft touch of a pear sabayon. As if to mark the end of one event and the beginning of the next, a champagne defined by its subtle and delicate bouquet, with the aroma of yellow peaches and dried apricots from Taittinger Nocturne will come alongside the dessert. 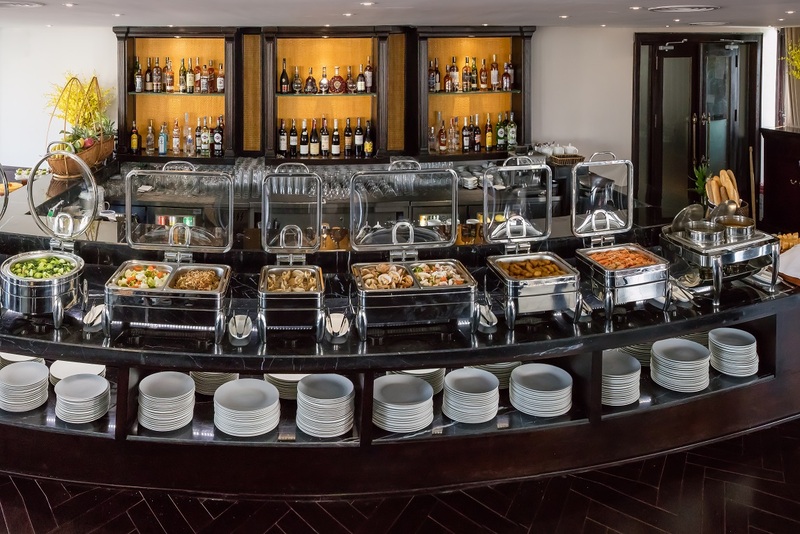 At President Cruises, we revel in providing the finest in high-end cuisine, from complex Vietnamese dishes to indulgent meals from the West. We’ve ensured our latest menu, created by multi Michelin star chef John Burton-Race, has the most succulent beefsteak dish in the bay. Our brand-new menu shows off a delectable array of the finest Michelin star cuisine, from the first taste of our marinated Salmon amus-bouche, with salmon jelly, soy, cucumber, wasabi mayonnaise, fennel flower and oscietra caviara to the final bight of the chocolate nut ganache and poached pear with pear sabayon. At the centre of this bold new menu is the revolutionary new fillet of beef, with sweetheart cabbage, crispy shallots, capers, sourdough croutons, olive butter and beef marrow jus. 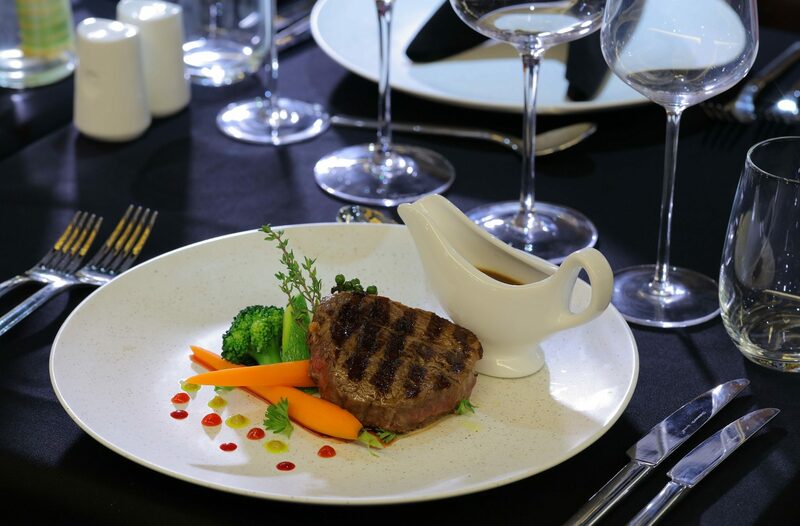 This brand-new beefsteak is an example of the exceptional standard that President Cruises has brought to Vietnam and Halong Bay. John has brought his unrivaled skills in French cuisine aboard President Cruises for this indulgent meal. John’s connection to beefsteak and French cuisine dates back to his time working under Raymond Blanc at Le Manoir aux Quat’ Saisons, where French cuisine was the focus. John was soon promoted to sous chef and later found himself at the helm of Raymond’s newly-opened Le Petit Blanc in Oxford. His time there earned him his first Michelin star. In 2002, a short time spent in France rekindled John’s passion for sourcing quality produce, with premium beef in particular. Channel 4 documented this period in John’s culinary adventure for French Leave and made John a household name for more than his Michelin star cooking. John decided in this period that, if he didn’t like the meat, he would change the cut or the animal. At President Cruises, we like to keep our menu fresh, which means fresh ingredients and a fresh, up-to-date menu. 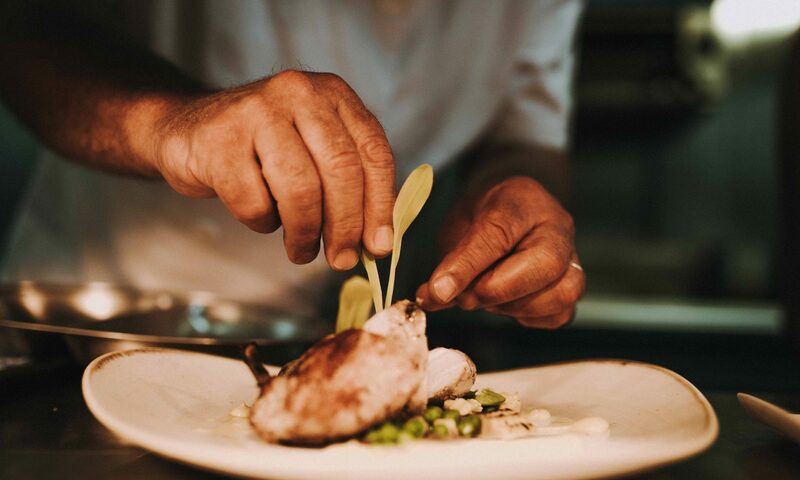 Like John, we’re not afraid to change our menu, which is why our recipes will evolve with the seasons, but we’ll always make sure we keep a succulent beef steak dish lined up for you whenever you visit – always with that John Burton-Race touch.